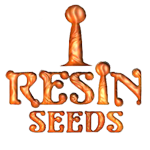 Resin Seeds - Dieseltonic. Free US delivery. Resin Seeds crossed Somas N.Y.C. Diesel with a reverted Cannatonic. Due to the different chemotype, the effects could have a wide range depending on the selected pheno. Ca. 50% of the plants will carry 1:1 THC/CBD, which is great for medical use. Dieseltonic has a 8-9 week flowering time and a 400-500gr pr m2 with a 600w set up. She is a quite easy plant to grow and is also very resistant against fungus and powdery mildew. With Dieseltonic you will get nice looking buds with a hint of both the distinct smell of New York Diesel and the aromatic Cannatonic, a perfect combination. She has a sweet citrus mandarin flavour and will keep you smiling for a long time. The effect of Dieseltonic is often energetic and uplifting, great for days with activities.